Why blame Trump and not “the actual criminal?” said Kimberly Ross in WashingtonExaminer.com. 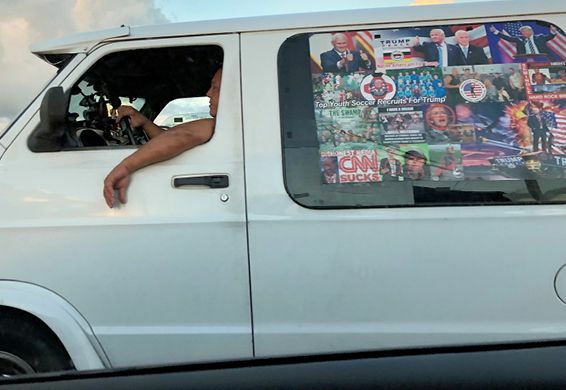 Sayoc is an “obvious madman,” whose first bomb-related brush with the law came back in 2002 when, unable to pay his electric bill, he threatened a bomb attack on Florida Power & Light. Yet Democrats tried to score political points by blaming the president—“and by extension, the GOP”—for a deranged individual’s actions. How soon the Democrats forget, said The Wall Street Journal in an editorial. It was only last year that James Hodgkinson, a rabid supporter of socialist Sen. Bernie Sanders, shot up the GOP’s congressional baseball team practice, critically wounding Rep. Steve Scalise. At that time, “no serious person suggested that Bernie Sanders had created James Hodgkinson.” So why blame Trump for Sayoc?